Another blown call, another reason for Major League Baseball to extend their replay ability. On June 2, the MLB replay system cost young Detroit Tigers pitcher Armando Galarraga a chance to be in the history books by throwing a perfect game, when first base umpire Jim Joyce made a bad call on what should have been the last out of a perfect game. 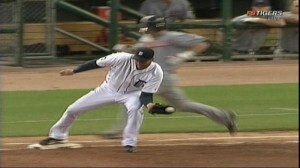 Nobody is perfect, I don’t blame Joyce for costing Galarraga a perfect game, I blame the MLB replay system. A blown call in MLB also blows a perfect pitching game. Ask Lancaster Barnstormer’s manager and former major league player Tom Herr or Danny Cox for another example of a bad call that could have been overturned by replay, and they would say in the 1985 World Series when a missed call in the ninth inning of game six cost their Cardinals the game, and according to Herr, the World Series. With the Cardinals leading 1-0 in the ninth inning, a similar misfortune to the Galarraga play occurred, and once again the first base umpire arguably cost somebody a chance from being in the history books. The ump called the runner safe, although television replay showed the runner was out by half a step. The Cardinals went on to lose the game 2-1, and then lost the series the next game. “We know because of that call we ended up losing that game,” said Cox. The only way to make sure all the calls made are the right calls is by extending the MLB replay system. 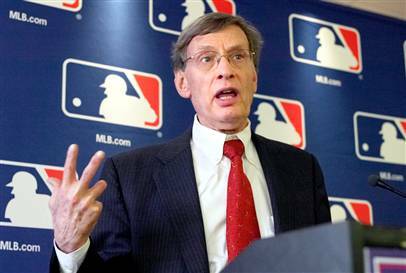 MLB Commissioner Bud Selig needs to propose a system like the NFL, where each team has the option to challenge two calls a game. This would ensure that the game changing plays are called right, and the game would not be delayed too much. Even if both teams use each of their challenges it would only delay the game 10-15 minutes. That is not a long time to make sure the calls are the correct calls. If this replay system was in place now then, instead of everyone talking about Jim Joyce’s blown call, they would be talking about Armando Galarraga’s perfect game. It is obvious that the MLB replay system must be expanded from just being able to review home runs or potential home runs. Players, umpires, and fans will sleep better at night knowing the correct calls were made for any close play. The only way to stop cheating the people that make the MLB so great is to make sure the right calls are made by extending the MLB replay system.